RAM® coatings based on tungsten carbides have a very high hardness: up to 70 to 72 HRC. The process uses a supersonic flame by burning hydrogen and oxygen. This is a pure combustion, so that the combustion gases do not pollute the coating, and undesirable chemical reactions are avoided. By applying a deoxidising flame, undesirable oxidation can be avoided as well. This is a cold process, so no thermal treatment of the substrate is required. Excellent wear resistance and increased service life. Super-finish is possible with Ra values <0.01 μm. No risk of thermal deformation, and this procedure can be applied to a finished part without risk of changes to size or shape. Environmentally friendly process and sustainable solution. The preventive application of RAM coatings to the wear & tear areas of new parts will increase their life span significantly. Typical applications are the bearing surfaces of seals, gaskets and slide bearings of machine parts. More and more, RAM coatings are also being used in static devices for protection against erosion or abrasion. Worn out shafts, bearing-areas, and parts can be permanently restored by means of RAM coatings. In addition to dimensional repair, wear resistance can be increased by the right choice of applied layer. In this way, the life span of a repaired part can be significantly improved. 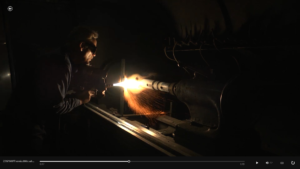 Flame spraying is an economical process for performing dimensional repairs and applying surface layers. In addition to metallic layers, ceramic layers can also be sprayed. Low emission of dust and noise make the process mobile and able to be used outside a spray booth. This is a cold process, so no thermal treatment of the substrate is required. Simple and fast repair of worn out bearing surfaces. More difficult geometries can be sprayed by manual spraying. No risk of thermal deformation, and this procedure can be applied to a finished part without risk of changing size or shape. 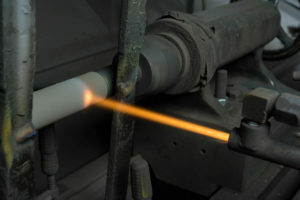 A wide range of materials can be sprayed economically. Various ceramic finishing coatings are applied according to the area of application. 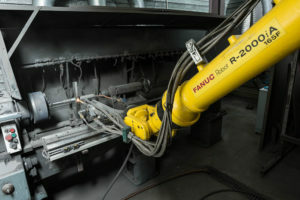 Flame spraying is ideal for performing dimensional repairs on worn-out machine parts. A typical repair is the repair of bearing surfaces of axles.